Dr. Howard Listopad grew up in North Miami Beach, Florida. He attended the University of Michigan for both college and dental school. After graduating 2000, Dr. Listopad completed a one year General Practice Residency at Mount Sinai Hospital in Miami Beach. 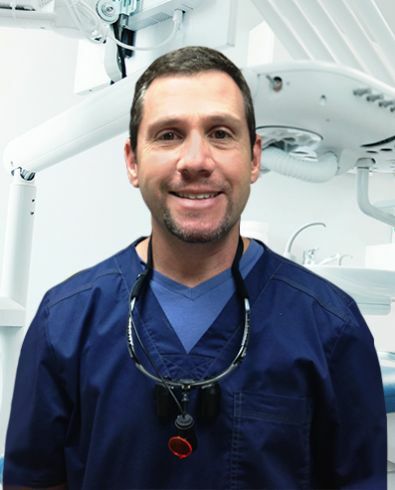 His additional training focused on Oral Surgery, Esthetic Dentistry, and dental implants. Although Drs. Listopad and Finder grew up 10 minutes away from each other in South Florida, they did not meet until they were in the same dental school class in Ann Arbor, Michigan. It was an easy decision to return home after training, and start a life together back in South Florida. Dr. Listopad is an avid University of Michigan and Miami Dolphins football fan. He enjoys watching every game with his family. He also enjoys running, biking, and attending his kids sports activities. Make now an appointment to receive the professional dental care that you need!